Now this is how you do it. Tetris Effect is precisely how you take one of the greatest games of all-time in Tetris and bring it absolutely, bang-up-to-date in what is assuredly the best incarnation this industry icon has ever seen. In a way, we should have always expected this; the mastermind behind Tetris Effect, Tetsuya Mizuguchi, is no stranger to bringing contemporary style and verve to legendary industry IP – as his previous legendary efforts in Rez and Lumines readily attest. In Tetris Effect however, we’re looking at a different kind of animal. Not only have Mizuguchi and his team of code-wizards been able to encapsulate the very essence of Alexey Pajitnov’s classic at no detriment to its core concept, they’ve also meaningfully built upon it too – adding delicate new wrinkles and wide-ranging changes to the template that are so seamless, so well-judged, that they are practically indistinguishable from the nucleus of Tetris’ DNA. This is the best Tetris has ever been. Make no mistake then – this *is* Tetris and broadly, that means the objective remains the same; to reach the end of each level by completing lines and ensuring that the stack of tetrominoes never reaches the top of the screen. 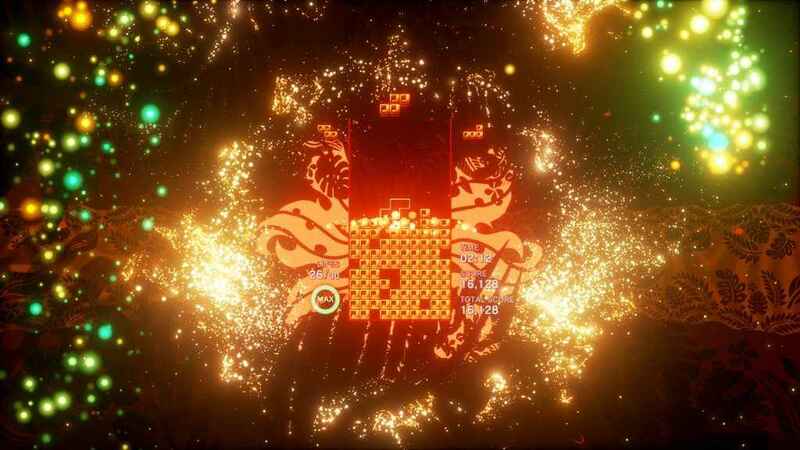 As such, playing Tetris Effect will be akin to sliding into a warm bath for series stalwarts, however, it’s in the smorgasbord of new features and considered tweaks to the formula that Tetris Effect truly takes root in the imagination of newbies and veterans alike. Tetris Effect is nothing less than an opiate for the senses. 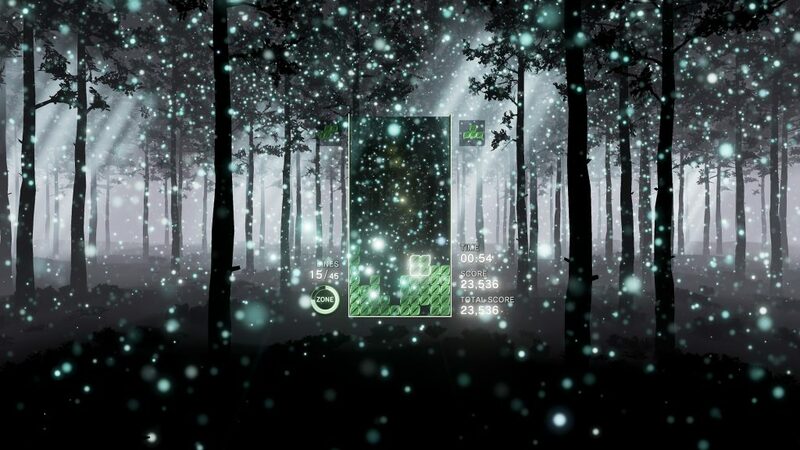 By far the biggest change that Tetris Effect makes to the base game is that it brings a fully-fledged single-player campaign to the table called Journey, and like all things wrought by Mizuguchi’s well-practiced hands, it’s an affair marked by intense sensual stimuli and good old fashioned challenge rather than shallow gimmicks and face-clawingly trite busywork. Appropriately named, Journey is just that – a voyage of discovery that takes place over 30 different stages, players must go from one stage to the next, completing a set amount of lines in order to proceed on. Much more than just visually drab affairs with only their challenge to distinguish them, each level that you tackle in Journey has a particular theme that resonates through every aspect of its audiovisual presentation. The Downtown Jazz stage for example, depicts a glittering New York City skyline as street signs constantly rush towards the player, while every successful line completed is greeted by the dragonfly-like, criss-crossing of car lights that so romantically evoke the mesmerizing hustle of nighttime in the Big Apple. With the visual flourishes are just one weapon in a kaleidoscopic assault on the senses, it is truly the music and sound effects complete the picture – with the playful tip-tap of piano keys accompanying the gradually increasing tempo of ear-soothing jazz rhythms. The new Zone mechanic lets you slow down the action to better plan your next move. Being more than just candy for the ears, the various sound effects that you hear in each level serve a distinct purpose too – carefully follow the rhythm of their beat and you’ll see that existing tetriminoes will flash, providing an indicator as to a potential resting place for your next piece. 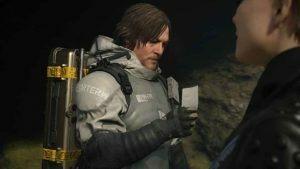 Sure enough, it’s a subtle tweak to an age-old formula but it’s one that works beautifully within the parameters of the audiovisual spectacle that bleeds from every pour of Tetris Effect. 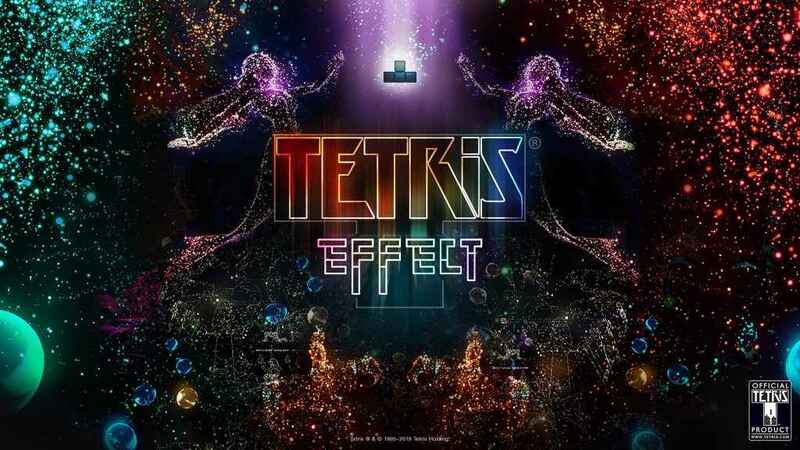 Arguably, it’s in Tetris Effect’s Journey mode that Mizuguchi’s love for the marriage of sound and gameplay manifests itself more strongly than in any of his previous efforts to date. Beyond their surprising utility, you soon realize that each level is a rousing cocktail of sights, sounds and satisfaction that all add up to a staggering feeling of accomplishment. 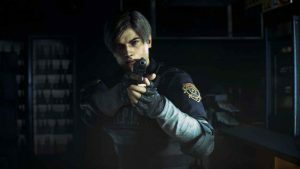 It’s that you’ve just completed a line, or you have just improved your combo score, but you’ve also now unlocked new sights and sounds that you hadn’t previously – treats for the senses that act as their own reward and which invariably push you on to try harder and perform better than you did before. In this way, going through Tetris Effect’s Journey mode feels akin to not just going on holiday, but taking a series of holidays in a quick succession as culturally driven sights and sounds fill your senses and provide a sense of discovery that is breathtaking and never less than wholly memorable. Every level is a celebration of culture, music and color; a kaleidoscopic odyssey in which every completed line causes a ripple to fire out into the level, nudging new sounds into existence and causing new shapes and colors to burst into vivid life. If the traditional challenge of Tetris has proven indomitable in the past – don’t worry, in addition to a multiple difficulty levels, Tetris Effect also includes a brand new Zone mechanic to help players out further. A meter that is filled by completing lines, once activated players effectively enter ‘the Zone’ where time stops for a short period, allowing them space to breathe and precisely place the next few waves of tetrominoes to get them out of a potentially sticky bind. The various Effects Modes provide a wide range of different experiences for players of all levels and moods. Such fresh mechanics stand as a testament to how Tetris Effect challenges age-old thinking about how you play the game too and a range of supplemental game modes propel that concept yet further still. Away from the not insubstantial trappings of the campaign lay the Effects Modes which allow players to quite literally take Tetris at their own pace. Broadly split between Classic, Relax, Focus and Adventurous categories, Tetris Effect succeeds in catering for not just different player skill levels, but also for different moods too. For example, the Chill Marathon game type within the Relax Effect Mode allows you to play indefinitely – with tetrominoes resetting if they reach at the top of screen and not triggering a game over screen. As such, the complete lack of fail state means that you can take Tetris Effect entirely at your own pace while the soothing sounds and relaxing music tame your nerves. Of course the other end of the spectrum (and everything in between) is deftly catered for too. The Mystery game type for instance, which resides within the Adventurous Effect Mode, tasks veteran players with dealing with an increasingly fast set of descending tetrominoes, all the while a wide range of bad (and occasionally good) effects trigger to keep you on your toes. Topping off the already sprawling Effects Mode are the special Weekend Rituals that run for 24 hours every weekend. Special milestone activities that take place in one of the Effects Modes, when completed by players these award points that are put towards a Community Goal. 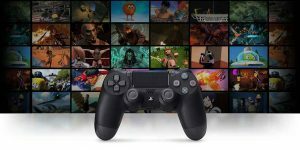 Assuming the Community Goal is achieved within 24 hours all participating players receive a unique in-game avatar that heightens the sense of achievement further. Simply put, regardless what kind of Tetris player you are, or even if you aren’t a Tetris player at all – Tetris Effect has you emphatically covered. Where the senses are concerned, Tetris Effect fashions a masterful, offbeat audiovisual presentation that simply everyone should experience. Visually, the game soars; with its flourishes of style and colour bolstered by pin-sharp 4K and HDR support, Tetris Effect will make any TV worth its salt truly sing and makes a strong case for being benchmark material. Whether you’re experiencing Tetris Effect in PSVR or in pin-sharp 4K with HDR, the experience is rarely anything less than breathtaking. 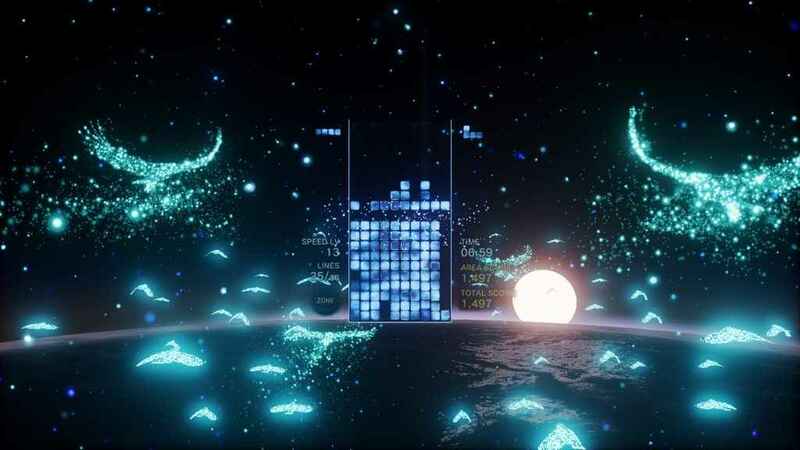 Likewise, Tetris Effect has to be seen to be believed when played in PSVR. Fully delivering on the dizzying promise of the game’s kaleidoscopic visuals, though playing Tetris Effect in PSVR adds little to the proceedings from a purely gameplay perspective, finding yourself surrounded and immersed in the themes and the swirling, reactive environments that each level brings proves to be an indelible thrill that accompanies the action grandly. If Tetris Effect demands a top-tier TV than so too does it behoove folks to invest in a decent sound system too. Whether that’s a good pair of 3D headphones, or a fully featured surround sound rig, the absolute top-tier sound design that Tetris Effect boasts is arguably deserving of hardware that matches its lofty caliber. 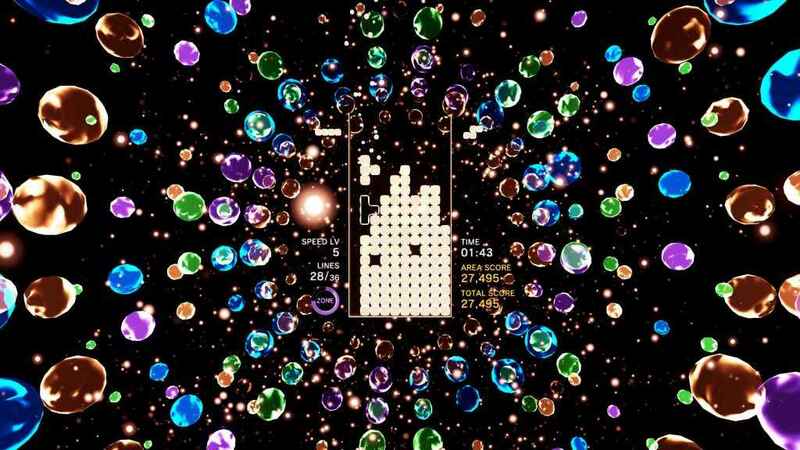 From dolphin calls to panpipes and from romantic jazz strings to wind chimes, the crunching of snow and everything in between, Tetris Effect might just be the best sounding game that you can get on PS4 right now. Tetsuya Mizuguchi’s latest effort wasn’t named flippantly – Tetris Effect (or Tetris Syndrome, as it is also known) is a very real, obsession-driven condition that can affect people whom have engaged with Tetris for an extended time, causing them to overlay ‘Tetris logic’ onto the real world in order to see how objects can fit together, such as boxes on a store shelf, for example. It’s an apt name for the game because after every session the manic thoughts come in waves – When do I get to play again? Why did I put that L-block in that spot which made it much harder to complete lines later on? And so on, and so forth. 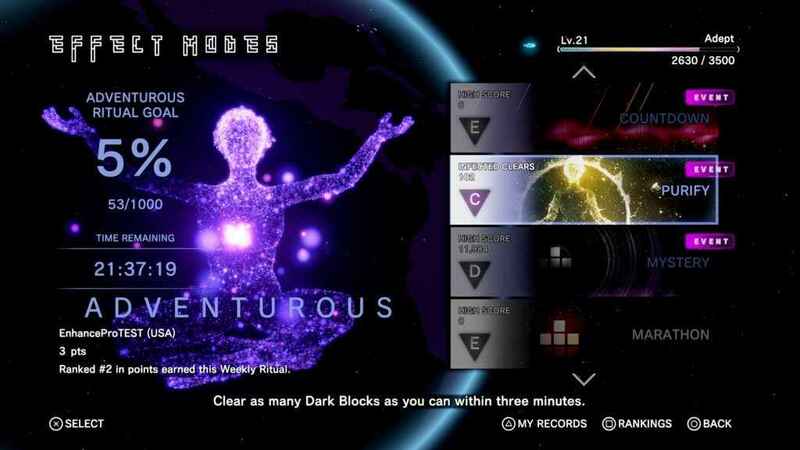 Tetris Effect burrows into your mind and becomes a permanent resident – a socially corrosive taskmaster that never, ever lets up and one which finds its ambitions emboldened by a leveling and grading system that prods you to do better each time you start a new level. When Tetris Effect has you, it *has* you. This is Tetris then, reborn in a fury of sound and light with the sort of verve that only the creative trust behind the likes of Rez and Lumines could have managed. Tetris Effect is the consummate example of a videogame where sight, sound and gameplay all come together to exist in perfect synergy, resulting in a supremely assured labor of love that is absolutely demanding of your attention. It’s perhaps a bittersweet revelation that Tetris Effect will never see the light of the day on PS Vita – especially given the fact that there could surely have been no better swansong for Sony’s beloved handheld than Tetsuya Mizuguchi’s arguably finest hour. In the here and now however, Tetris Effect is without question at the qualitative apex of what the PS4 can offer right now. Simultaneously an expert distillation and triumphant evolution of the core Tetris concept, as far as a score goes, there’s only one that will really do isn’t there? I’ll give you a clue though – it rhymes with ‘ten’. Oops. Developed by Enhance and Monstars, Tetris Effect is out now for PS4 and PSVR.